April is Oral Cancer Awareness Month, and each year, more than 34,000 people receive the diagnosis. It can be devastating to learn you have oral cancer, but the good news is that if it’s caught early, it can be successfully treated. Unsure how you can be screened for it? Many cases can be detected by your dental professional, which is why visiting your dentist for your regularly scheduled appointments are crucial. 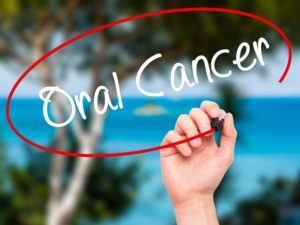 If you want to know more about the disease, a dentist in North Naples can explain the signs and symptoms and how an oral cancer screening can ultimately save your life. How Can a Screening Benefit Me? You always hear how important it is to see your dentist twice a year for regular dental checkups. The reason isn’t just because your dentist wants to see your happy face every six months, but it is so your oral health remains in check. Not only are your teeth, gums, tongue, and mouth important to your overall health, but the few minutes it takes for your dentist to perform an oral cancer screening can save your life. During your visit, your dentist will look for any signs or symptoms that indicate the possibility of oral cancer. If there is a cause for concern, your dentist will take a biopsy of the area and send it to a lab for proper diagnosis. Once the results come back, a treatment plan will be put into place should it show you have oral cancer. Early detection is key when dealing with this disease, no matter the type of cancer. While not all instances are preventable, it is wise to take preventative measures to reduce your risk of developing oral cancer, such as reducing your alcohol intake, kicking the habit, and limiting your exposure to the sun. Dr. Mark Makram earned his dental degree from the State University of New York at Buffalo School of Dental Medicine. A skilled general, cosmetic, and implant dentist, he works to build strong relationships with his patients and delivers quality service and care. Believing preventative care is the cornerstone of a healthy smile, he and his team offer quality therapies to keep your mouth healthy and strong. To learn more about Dr. Makram, or for questions about our services, visit our website or call (239) 513-9990.